Chewable vitamins have been marketed toward children for a long time. As a kid, you may have seen them as Flintstone’s Gummy Vitamins; however, chewable vitamins are now seeing popularity among adults. There are numerous benefits to chewable vitamins and minerals, and you may want to consider switching your vitamin tablet to a chewable form. At Inovera Bioscience, the creators of Forvia Multivitamin® decided to formulate a chewable multivitamin for adults so that those with gastrointestinal conditions can receive the proper nutrients every day without suffering from indigestion. If you want to purchase Forvia Chewable Multivitamins and Minerals, visit our website today for more information. The days of having a tablet dissolve in your mouth and tasting the unmistakable taste of multivitamins are gone. If you have trouble swallowing pills or dislike the taste of pills, then chewable multivitamins are right for you. While many old-school tablets have an unpleasant taste or can get lodged in your throat if you don’t have immediate access to water, chewable vitamins were designed to be chewed up and more easily swallowed. If you have a strong gag reflex, chewable vitamins should not pose any problems for you. If you also have a throat condition or are suffering from any throat-related sickness, chewable vitamins are also easier to take when inflammation is occurring in your throat. Vitamins can be tough on the digestive tract. Traditional tablets and pills are difficult to digest in the stomach. As a result, heartburn and nausea can occur if you take your vitamins on an empty stomach. Oftentimes, the hard lining on the outside of traditional vitamin tablets is difficult to break down, especially if the enzymes in your stomach have not been activated as they normally are when you eat and chew food. Chewable vitamins allow your saliva and teeth a chance to break down the vitamin before it reaches your stomach. As a result, the chewable vitamin is easier on the stomach, and the tiny amount of sugar in most chewable vitamins aids with activating enzymes in your stomach to aid in digestion. If you plan on taking chewable vitamins, just be sure to still take them with a glass of water, so that the parts of the vitamin are effectively washed out of your mouth after you are finished chewing them. If the benefits of chewable multivitamins sound good to you, but you have issues with calcium or iron supplements because of a preexisting gastrointestinal condition, Forvia Chewable Multivitamins is here for you. We specially designed these vitamins to help you absorb the proper nutrients and minerals every day of your life, regardless of whether you have Crohn’s disease, celiac disease, or ulcerative colitis. 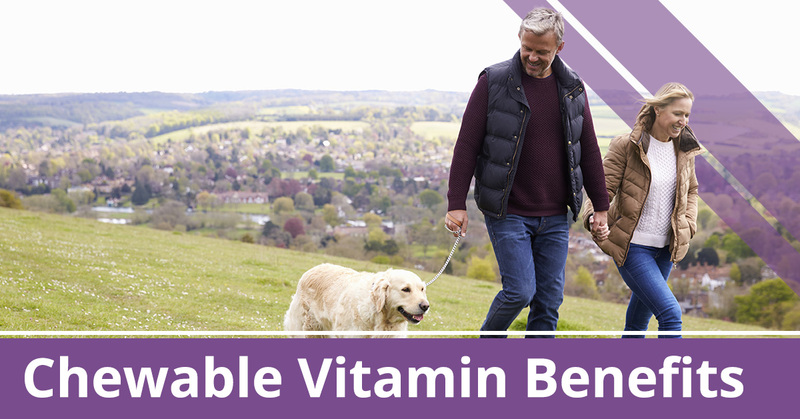 Our chewable multivitamins are perfect for easy digestion and deliver vital nutrients and minerals to your body even if you have a condition that causes malabsorption. If you want to try Forvia Chewable Multivitamins for yourself, call us today at 866-619-7705 or visit our website to purchase our chewable multivitamins.